Savings as far as the eye can see. Get serious savings and stylish sunglasses in Hawaii. Hawaiian Optics has partnered with Starwood Hotel and Resorts Hawaii Preferred Guest program. Marcus Mariota Hawaii's very own Heisman Trophy winner and 2015 NFL draft pick will be playing for the Tennessee Titans. He is starting his career off in the right direction with establishing a four year scholarship at his former St. Louis High School in Honolulu, Hawaii. We can't wait to see what you do next on and off the field, Mahalo Nui Loa and Imua Marcus! 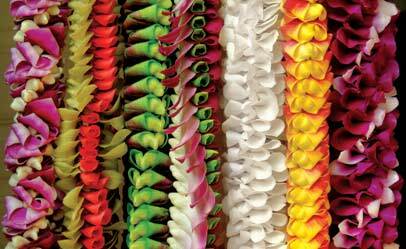 May Day is Lei Day in Hawaii, show your Aloha! Kauai has a local celebrity, you would never guess who unless you have met Dr. Sims then you would agree he is perfect for this role. Who do you know that will get out of bed at 3:00am to render aid to a horse? He is Kauai's only large animal vet, but he will gladly help your dog, cat, or pig. He has come to be well know and needed through his private practice Pegasus Vet Clinic. Upon watching the show I have learned that he will gladly fly himself on his homemade plane to a neighbor island to assist others in need. Dr. Sims is looking ahead, he hopes that with the success of his show he can establish a nonprofit on Kauai that will allow him to offer a voluntary payment vet clinic, he is truly making a difference and loving every minute of it. Check out the whole story compliments of MidWeek Kauai.